Can’t find your old Hannukah menorah? Israeli designers come up with clever alternatives. With the Jewish Hannukah holiday only a few weeks away, many Jews in the Middle East and elsewhere are anxiously waiting to eat sufganiot (jelly doughnuts) and searching their closets and cupboards for their Hannukah menorahs. 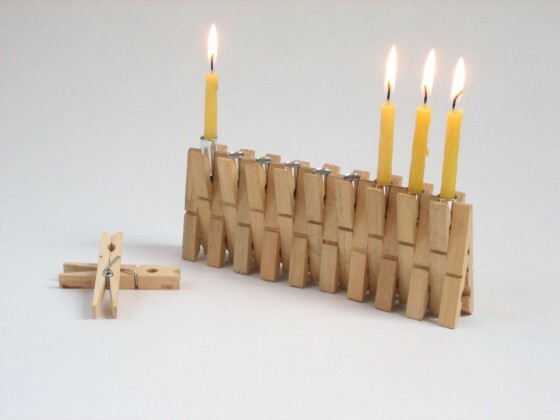 In case they can’t be found, here is a roundup of a few upcycled and sustainable menorahs made by Israeli designers (such as Gad Charny’s clothespin menorah, seen above). 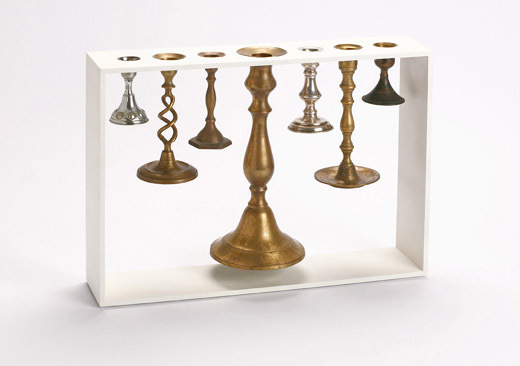 Repurposing multiple solitary candlesticks that had lost their mates, the menorah above made by Reddish Studio renders the candlesticks functional as part of an ensemble again. While this version only has 7 candlesticks, it could be easily expanded and adapted to suit the requirements of a Hannukah menorah. 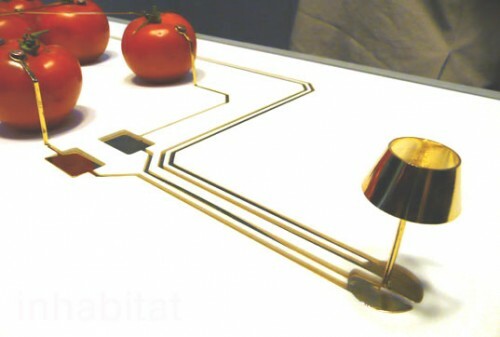 If energy efficiency is what you look for in a menorah, you might consider Cygalle Shapiro’s tomato-powered LED lamp. It may be difficult to make on your own or obtain, but it’s the most organic (and delicious) lamp design that we’ve seen. 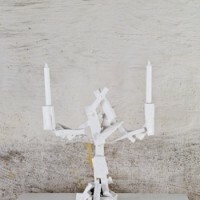 If you like your menorahs to have a less finished look, we suggest Godspeed’s Trash Candleholder, a set of candlesticks made from trashed and reclaimed wood. The candlesticks to the left are currently only suited for two candles, but you could either request that Godspeed make you another one (they make all their items by hand in a single hour or less) or attempt to make a similar one yourself from scraps at home. Menorahs can be made creatively and sustainably in unlimited ways. 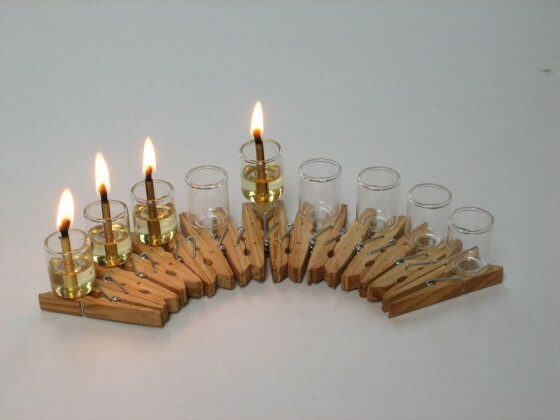 Below, another version of Gad Charny’s clothespin menorah sheds some more light on the matter. Climate Change and Hanukah – A Connection? Nice sustainable designs! Israeli designer Limor Yaron created a flat 2d ecofriendly Dreidel, that arrives flat and can be made 3d in seconds! cute and smart, Happy Hanukkah!